With the diminishing water resources and increased water demands, treatment of alternative water sources such as seawater, brackish water and reclaimed water can potentially be used as alternative water sources. 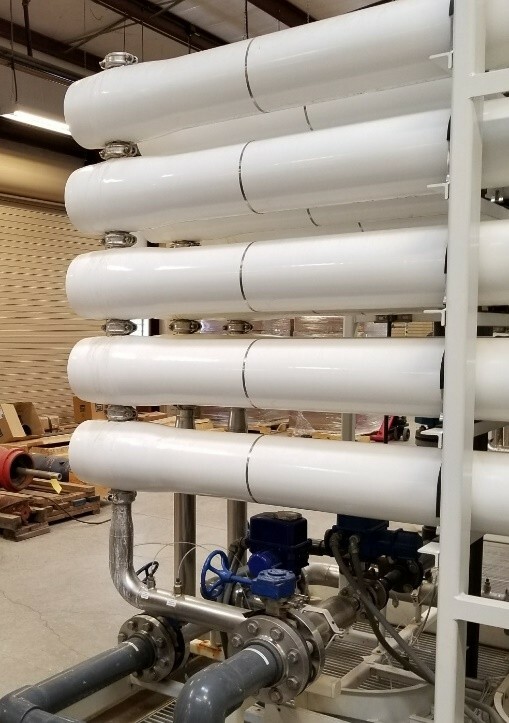 A popular method used to purify these alternative water sources is reverse osmosis (RO), which is a process that uses membrane technology to remove 95-99% of the total dissolved solids (TDS). 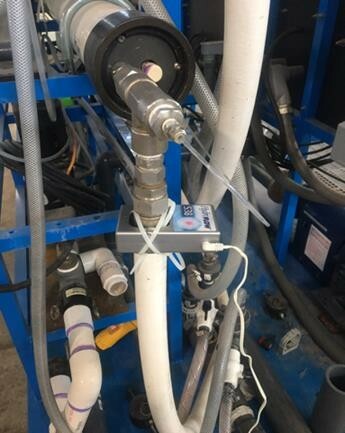 Despite pretreatment and advances in membrane technologies, membrane fouling and scaling issues continue to be a major obstacle to RO systems. Membrane scaling is generally controlled by pH adjustment, addition of antiscalant, or extensive pretreatment. HydroFLOW devices, which are powered by Hydropath technology, are a solution to this challenge by providing a chemical-free alternative to control scaling and membrane biofouling by inhibiting the formation of hard scale and biofilm. 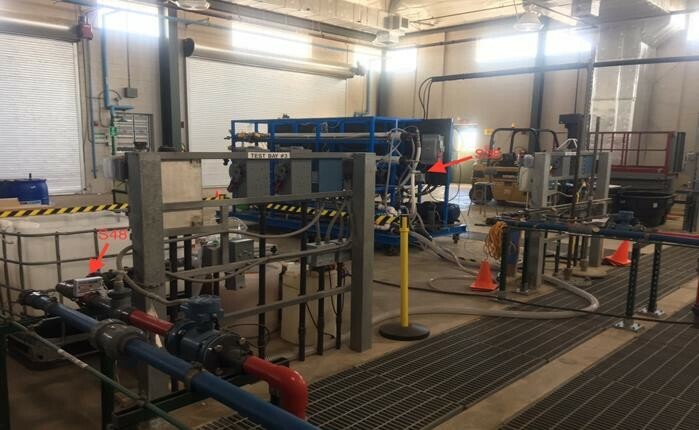 In order to validate the efficacy of HydroFLOW’s ability to become a viable solution for RO systems, the New Mexico State University (NMSU) Department of Civil Engineering decided to evaluate the technology at the US Bureau of Reclamation Brackish Groundwater National Desalination Research Facility (BGNDRF). HydroFLOW reduced membrane scaling by 40% which demonstrated it is a promising technology to significantly reduce membrane fouling. With this said, further testing is required to optimize the HydroFLOW solution. For more detailed information about the study, please click here. 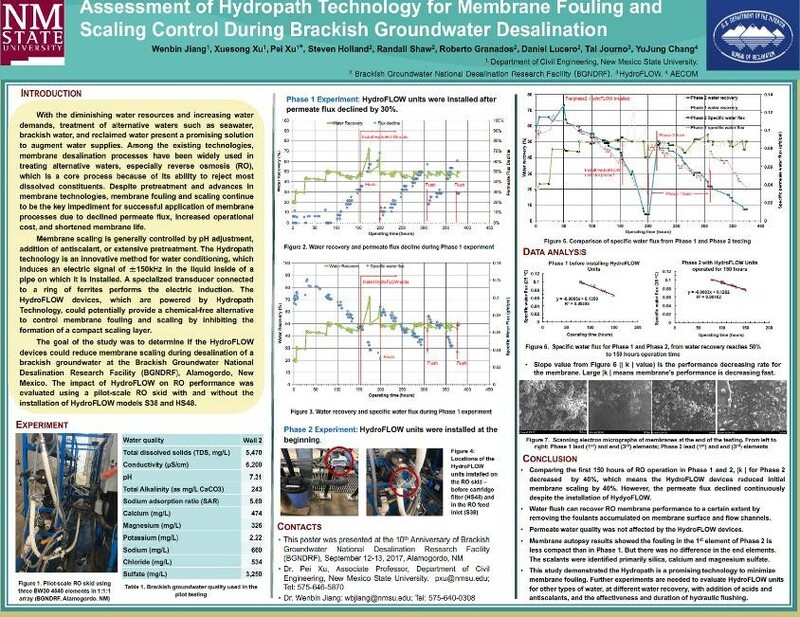 To learn more about Hydropath technology and how a HydroFLOW device can help control membrane fouling and scaling, contact us today.